Shot on the fly, taken during road-crossing. You are invited to post this red image to the Red for the People of Burma group. Essential start to any day – particularly Mondays! Love this photo. 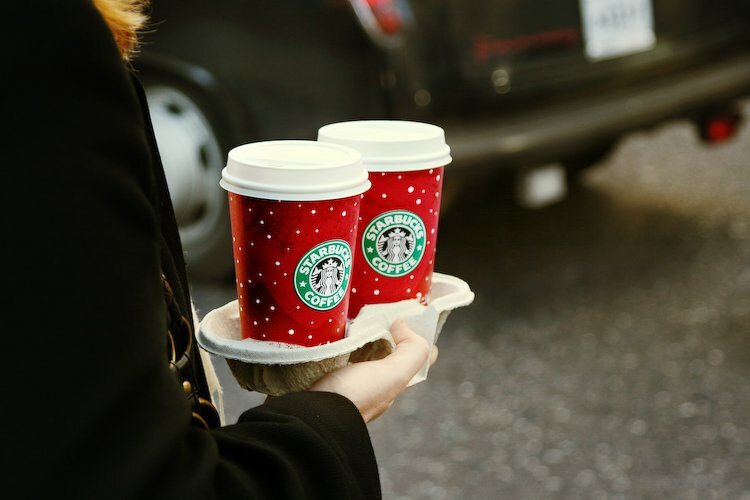 I also love the Starbucks red cups.